The teen, who has not been identified, sustained a gunshot wound to the thigh in the St. Mary's County, Maryland, incident. WASHINGTON — The 14-year-old boy who was wounded in Tuesday’s fatal Great Mills High School shooting was released from St. Mary’s Hospital Wednesday. The teen, who has not been identified, sustained a gunshot wound to the thigh in the St. Mary’s County, Maryland, incident. He was the second person injured in the shooting. The other, a 16-year-old girl identified Wednesday as Jaelynn Willey, remains at the University of Maryland Prince George’s Hospital Center for treatment. 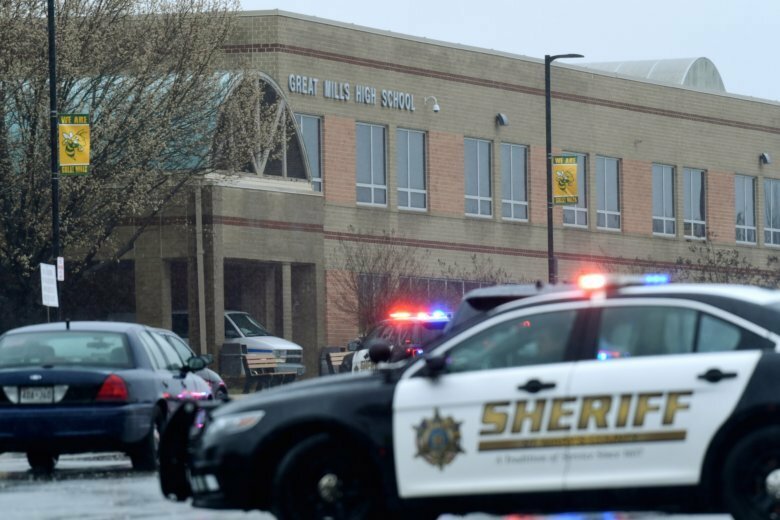 The shooting started when the 17-year-old gunman, Austin Rollins, opened fire in a hallway with a semi-automatic handgun at Great Mills High School, investigators said. Rollins died after he was confronted by St. Mary’s County Deputy Blaine Gaskill, a school resource officer who was credited with saving lives by quickly engaging the shooter. It is not yet clear whether Rollins was shot by Gaskill or whether he shot himself. While the motive remains under investigation, St. Mary’s County Sheriff Tim Cameron said authorities were looking into whether a prior relationship between Rollins and Willey was a factor.